Far away from the overdevelopment and mass tourism found on Thailand’s more popular islands, Ko Surin has thankfully been protected as a bastion of wildlife on land and in the sea. And you don’t need to hike into the thick jungle to view many of the twin island’s abundant animals; the marvelous beaches serve as perfectly adequate vantage points. Green sea turtles are regularly seen around the islands, small reef sharks are found every day hunting in the shallow surf at low tide, and vibrant tropical fish and crustaceans, including angelfish, parrot fish, and spiny lobster, dwell in the extensive coral around the islands. Even the mighty whale shark is often sighted near tiny Ko Satok, just off the coast of Ko Surin’s northern island. Making friends in the water. Make no mistake — Ko Surin and its surrounding area is on a very short list of Thailand’s premier diving and snorkelling destinations. At low tide, a wade in the water reveals dozens of these harmless small sharks. On land, it’s common to see macaques strolling casually through the jungle, and Ko Surin is home to countless birds, snakes and a healthy population of monitor lizards. A large monitor lizard swims in an inland lagoon; think I’ll stick to swimming in the ocean. While a small number of people are usually found enjoying Ko Surin’s stunning white sand beaches, they’re far outnumbered by a colourful and rather quirky community of small sand crabs. Especially after dark, the beach can feel like a metropolis for the crustaceans. Can I just say… you have the most stunning eyes. Apart from a tiny Moken village on Ko Surin Tai, the southern island is strictly off limits to anyone other than park rangers. Ko Surin Neua hosts the national park headquarters and campsites, but even here most of the island is covered in dense jungle and is only passable on foot via a rugged path, or around part of the coast during low tide. Inland water lillies; just watch out for that monitor lizard. Now this tree has personality. No shortage of colour in Ko Surin’s forests. Longtail boat is still the main means of transport around the two islands, and unlike nearby Ko Similan there is little speedboat traffic around Ko Surin. Despite a steady number of visiting tourists, Ko Surin retains a quiet, natural atmosphere. It’s the perfect place both to forget the world for a while, and to experience the nature and wildlife of the Andaman Sea firsthand. A new moon rises over wild Ko Surin. Browse our independent reviews of places to stay in and around Ko Surin. Read up on where to eat on Ko Surin. Check out our listings of things to do in and around Ko Surin. 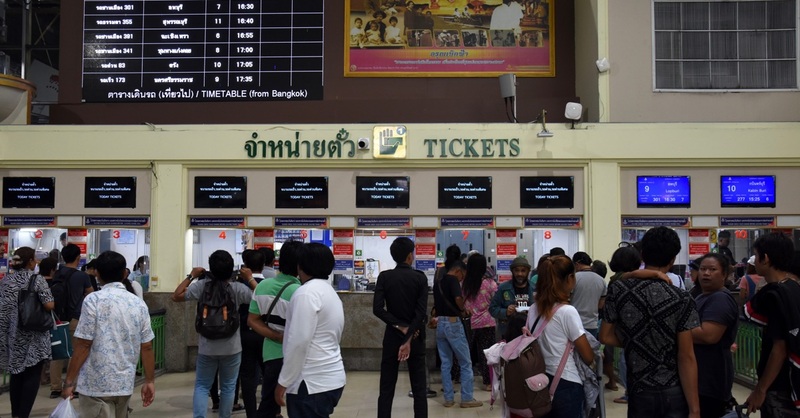 Read up on how to get to Ko Surin, or book your transport online with 12Go Asia. Planning on riding a scooter in Ko Surin? Please read this.